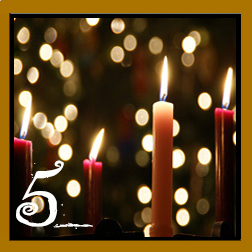 Ani's Book Abyss: 16 Festive Tasks | Square 5 - Advent (Task 1) - My youngest brother and a Master's Degree! This will be one of the few task posts that I won't really have a photo for, but if I DO find a suitable one, I will most definitely update and edit this post to fit. In fact, after the event has passed, I may return with a follow-up post. As I had stated in my Thanksgiving Day task post, a lot of events and activities have been going on this year of 2017. There was a wedding, and if this task had been part of another game prior to that, I would have named my little brother's wedding as an event I'm very much looking forward to--but that event has come and gone, and all was wonderful! Instead, my family and I will be looking forward to a graduation in the very, very near future: My youngest brother will be graduating with a Master's degree in Computer Science and Computer Engineering! The ceremony will be taking place in exactly two weeks on December 17, so today is the perfect time to boast and brag about it. For this generation in our family, including cousins, he will be the first with a Master's degree, and we're all very excited. Of course, this is not disregarding the fact that one of my cousins is a Doctor of Pharmacy... but she already had her day to shine, and today (as well as two weeks from today) will be all about my baby brother. Obviously there is a lot of boasting going around the family and lots of people are happy. Coming from a family of immigrants, myself, my brothers, and most of our cousins are the first generation of the family born in America. And while we aren't the first generation given the opportunity to go to college (my youngest uncle on my mother's side of the family also has a Master's degree), there's no denying that the elder generation are all very proud of this accomplishment. And now, as my brother reaches the end of his higher education years, it is time for him to figure out what he's going to do for a job. Definitely, his life is about to change a lot as he officially enters the working world. Of course, he has been working as a paid intern with NIAR (National Institute for Aviation Research)--a job he loves. But still, a bright new future for him, hopefully, as he begins his search for his ideal career! !